Many people walk into the store and ask us if we planned to have classes from the beginning. The answer is YES! Both "crafty" people, we wanted to have a unique space where people could come try their hand at all sorts of DIY projects. Sitting in Starbucks in Wayzata, the idea of our "craft bar" concept was born. A space where people could walk in and make whatever they wanted. Our goal from the beginning was to have DIY workshops at our inspiring craft bar. Our favorite thing is to take ideas from paper to the home. We have weekly classes with new ideas blooming all the time. Be sure to check the schedule by clicking on the CALENDAR OF EVENTS button below and send us an email if you have ideas you want us to try with you! We have many open studio events as well so be on the look out for time to come and craft away at your own pace! Our popular Uplift: A Box class is great for private parties and also happens on a monthly basis. Join us in making a box for a woman in need and go home with a box for yourself! We have had a long cold winter and we are ready to break out the sandals and head out on the lake. We have everything you need to spruce up your home or your outfit for spring! Grab your girls and come see us! 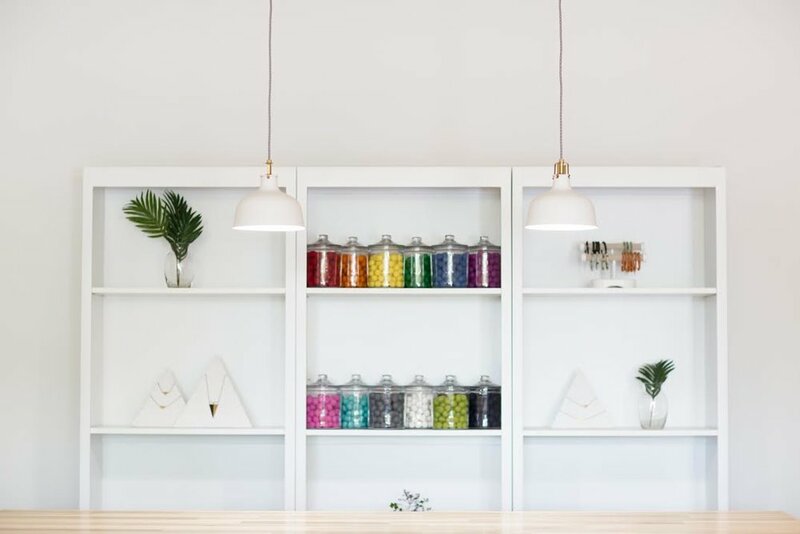 DIY projects have been our signature bead bar. This is a great option for private parties of all sizes and ages. Feel at ease and visit with friends while making a fun bracelet that fits your style. Bring snacks, beverages and invite who you want. Pair the bead bar with a private shopping party and receive 15% off all Gathered Goods products the night of your party! A perfect choice for a girls night out, bridal shower, birthday party or just because!